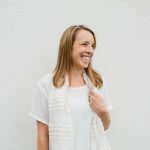 This is the second guest post by Ashley Gartland in a series of three about simplifying your business. Between social media, content marketing, networking and pitching, you’re working what feels like a full-time job trying to get the word out and stay on people’s radar – and not surprisingly so, because big companies actually have marketing people whose only job is to handle these things. And while you’d love to hand off your marketing completely, you don’t feel ready yet. 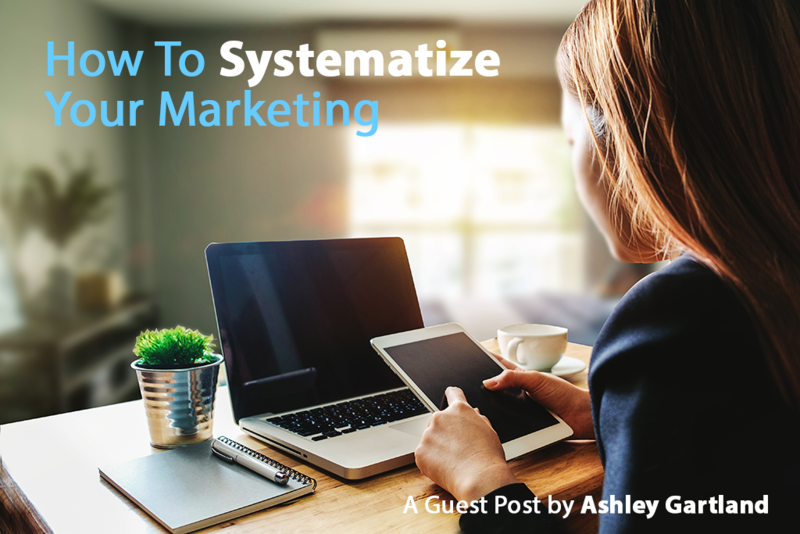 That means you have two options: neglect it or find a way to systematize your strategy so you can manage your marketing without using so much time and energy. I’m a fan of the second option because I believe you need to consistently market your business if you want to grow and reach new people, not to mention reach your revenue goals. But I don’t believe you have to go into overwhelm to market your business effectively. Instead, I encourage my business coaching clients to adopt a Simplified Marketing Plan, which is both a day-to-day AND big picture plan that helps them execute their marketing efforts with ease. After teaching this system to dozens of business owners, I now know how useful it is. I know that it can help you manage the demands of marketing your business without feeling like you’re spinning into overwhelm. I know it can help you stay organized and focused on the right marketing activities for your particular business. I know that sticking with it will decrease your stress, improve your consistency and help you feel like you’re finally staying on top of your marketing. 1. Make a list of all the marketing activities you currently do in your business. You can also include things you’d like to do or think you should do but don’t currently make time for. 2. Divide your list into specific categories. The main categories for your plan will be: daily activities, weekly activities, monthly activities and quarterly activities. Daily activities are generally tasks like posting to social media. Weekly activities might include blogging or writing a newsletter to your list. Monthly and quarterly activities are often bigger projects like submitting a feature to a publication, writing a guest post for a popular blog or participating in a live event. 3. Plug the categories and tasks into your favorite project management tool. I use Trello, but something as simple as a paper planner works too. 4. Get specific. For each task on your list, add details such as dates, contacts, copy or checklists that will help streamline the work. 5. Commit to a schedule. Pick a time of day (or week) to check in with your Simplified Marketing Plan so you can plan, schedule and/or execute the tasks inside it. I recommend spending 30 to 60 minutes a day on it to start. That’s your big picture overview of how a Simplified Marketing Plan looks, and how you can create it. But I also know that this is one of those things that’s easier to show you than to write about so I also want to invite you to check out my free Simplified Marketing Plan training, which will walk you through each step in detail and show you exactly how it can look. To watch the training, just click here.